At a recent hearing, New York City Council members discussed the effectiveness of NYPD responses to “emotionally disturbed person” (EDP) calls, the slow pace of implementation for new NYPD crisis intervention training, and the tragic outcomes of several recent interactions between NYPD officers and emotionally disturbed individuals. At the hearing, held Sept. 6 jointly by the Council’s Committee on Public Safety and Committee on Mental Health, Developmental Disability, Alcoholism, Substance Abuse and Disability Services, members called for clarity on recent interactions ending in lethal force and stressed their support for the proposed mayoral working group to assess the city’s overall response to individuals in crisis. The hearing, which received little attention at the time given the city’s primary elections were occurring just six days later, on September 12, occurred in the wake of the deaths of six mentally ill individuals killed by NYPD officers responding to EDP calls over the past 11 months, and just before another such incident would unfold. The introduction of crisis intervention training at the NYPD in the summer of 2015, a program designed to help officers respond to individuals in the midst of such crises, was intended to better equip officers to handle such circumstances without use of force, but has been rolled out slowly due to class size requirements and competing training demands. 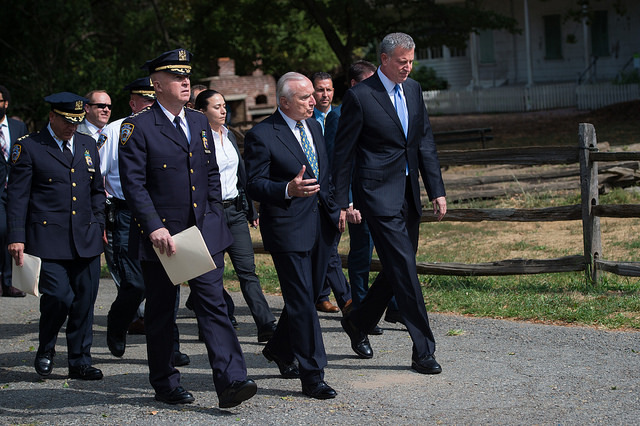 Of the department’s approximately 34,000 officers, fewer than 6,400 had been trained at the time of the hearing, according to NYPD Deputy Commissioner for Collaborative Policing Susan Herman. While there is increased scrutiny of how the NYPD handles EDP calls and its deadly encounters with individuals in crisis, some also believe that reforms must be put into place whereby NYPD officers are not the first ones at such scenes; that unarmed counselors, social workers, and mental health professionals are better suited to diffuse EDP situations. In the July shooting of Dwayne Jeune, an emotionally disturbed Brooklyn man, Jeune charged cops with a bread knife and was shot after a Taser shock appeared to have little effect. Three of the four patrol officers on the scene had participated in CIT while the fourth, the only one lacking a CIT background, was the one to fire, according to the department. In instances of EDP calls, supervisors must make the decision to call the Emergency Service Unit (ESU), whose members complete Emergency Psychological Technician’s training and are equipped to identify and interact with those suffering from mental illnesses. Jeune’s situation was characterized as nonviolent and ESU was not brought in. Council members and a family member of Jeune questioned whether CIT officers should be given control when responding to EDP calls. Herman pointed to a department preference for an officer who develops rapport with an individual to take control of the response. “It’s great to have a CIT trained officer and we want to train everyone, but we’re not at the point where we’re saying whoever is CIT trained commands the situation,” she said. Council members also stressed a desire to see officers trained at a faster clip. The NYPD is presently training 90 officers a week; dividing training into classes of lieutenants, supervisors, and patrol officers. Based loosely on a model developed by the Memphis Police Department and in conjunction with the city Department of Health and Mental Hygiene, the program requires a class maximum of 30, which plays a primary role in the department’s delayed implementation. The department expects to train all supervisors and lieutenants by 2018, at which point it will return to training recruits. Herman also noted the Memphis model’s stipulation that training 25 to 30 percent of the force will allow other patrol officers to learn through experience and observation. Council Member Vanessa Gibson, chair of the public safety committee, interjected, reiterating the city’s desire to move beyond the Memphis baseline. “In a city of such great diversity and challenge, that’s a bare minimum for us,” Gibson said. The officer who shot and killed Jeune was involved in a similar shooting in October of last year, when a bipolar man lunged at officers with a knife, according to the NYPD. Council members grilled Herman on the department’s policy for re-evaluating the training needs of officers with a history of force used during EDP calls. 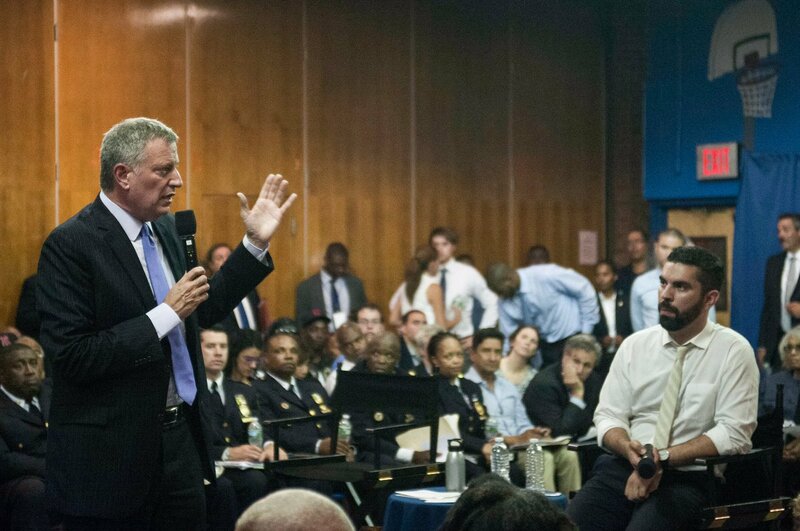 “It seems to me if there is an officer who was involved in an EDP that ended in deadly force, that might be a prompt to get them CIT training so that won’t happen again,” said Council Member Jumaane Williams. The New York City Patrolmen’s Benevolent Association (PBA), the union representing more than 20,000 patrol officers, declined to comment on the hearing when Gotham Gazette inquired. The Lieutenant’s Benevolent Association and Sergeant’s Benevolent Association did not respond to requests for comment. None of the unions sent representatives to testify at the hearing. To this end, City Council members sought answers on how to assist individuals displaying escalating levels of violence before reaching a situation in which an EDP call is necessary. 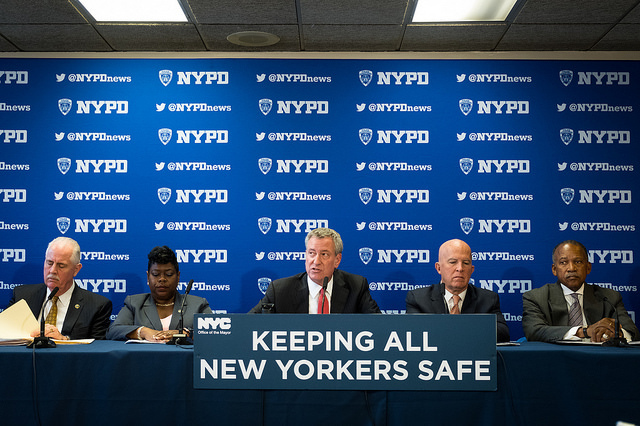 One such answer are the co-response teams established under the mayor’s “NYC Safe” program, intended to reach mentally ill individuals and those with substance abuse issues before they enter a mental health crisis. The program provides ongoing treatment and support to individuals identified as displaying increasing levels of violence by a number of sources including government agencies, community-based health care providers, and precinct commanding officers. “This is somebody who’s on someone’s radar because their actions were calling out to us. It’s not just somebody who’s off their meds, it’s somebody who’s maybe in a shelter, who one week has loudly cursed at someone and another week has thrown a chair,” said Deputy Commissioner Herman. Critics have pointed out that there are still far too many individuals on the streets of the city in mental health or substance abuse crises who are not getting the help they need or being moved into care facilities, which often necessitates the use of Kendra’s Law, legislation that provides court-ordered assisted outpatient treatment for those whose mental illnesses. A critical component of the city’s ongoing partnership between law enforcement officers and health care providers are two diversion centers, offering stabilizing services for those with mental illnesses and substance abuse issues that otherwise would have been arrested on low-level charges. Two such centers will likely be operating by the end of 2018 and will house 2,500 individuals per year, according to Dr. Gary Belkin, executive deputy commissioner of mental hygiene at the city’s Department of Health and Mental Hygiene (DOHMH), who testified at the Council hearing. For advocates, however, this timeline falls short of addressing the city’s needs. “When we hear that the drop-in centers are not going to be available until the end of 2018, that’s not an acceptable response for the City of New York,” said Joshua Goldfein, an attorney for The Legal Aid Society, which often represents individuals unable to afford attorneys, at the hearing. Hours after the City Council Hearing concluded on September 6, officers fatally shot a mentally ill Bronx man when responding to a call for a “wellness check” from the landlord. The man, Miguel Richards, ignored orders to drop a knife and gun, later found to be a toy gun. The ESU unit had arrived by the time of the shooting, but had not yet entered the apartment.